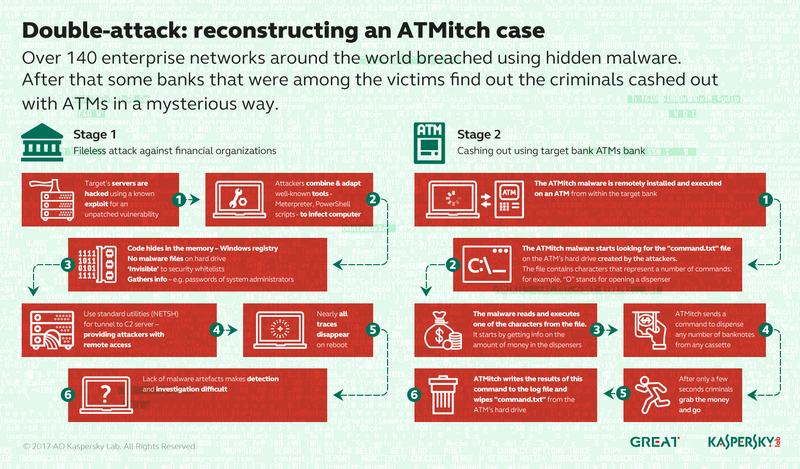 Home ATMitch Malware Double Attack Fileless Banking Attackers Kaspersky Lab Double Attack: What Are Fileless Banking Attackers Really After? 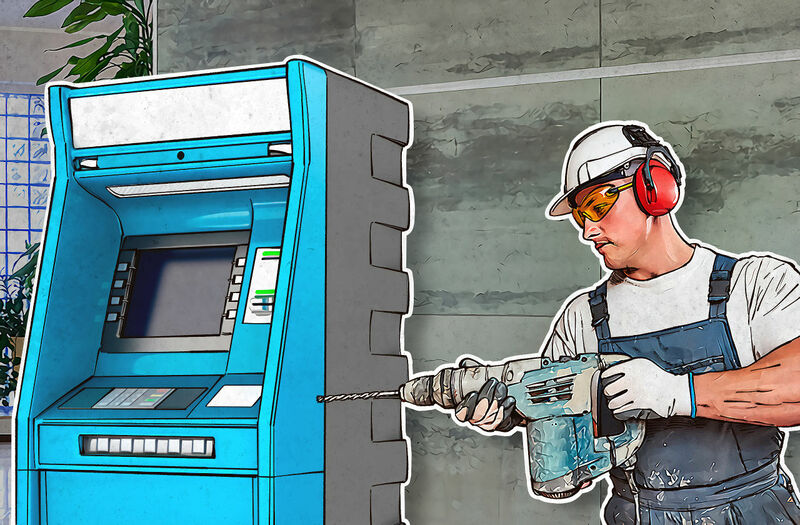 The investigation started after the bank’s forensics specialists recovered and shared two files containing malware logs from the ATM's hard drive (kl.txt and logfile.txt) with Kaspersky Lab. However, "tv.dll", used in the ATM stage of the attack contains a Russian language resource, and known groups that could fit into this profile are GCMAN and Carbanak. Kaspersky Lab products successfully detect operations using the above tactics, techniques and procedures.